Most store owners want to take advantage of windows to let the light shine in and allow potential customers to see into their storefront. However, often these large windows come with some challenges like excessive heat, glare and product fading. Well, with Geoshield Pronano 70% storefront window film, you can let the sunshine in on your terms. This film helps tame heat, cut glare, reduce fading and save energy. This film is barely detectable on the glass, so your visibility both in and out through the windows is maintained. So, you keep your store bright and open to outdoor views while helping to reduce harsh UV rays, heat and glare. While this will help fight fading, it cannot completely stop it. So, you can extend the rotation time of stock near the windows. In addition, as the film reduces the heat coming through the glass, the HVAC will not need to work as hard to keep your store comfortable which helps reduce energy costs. 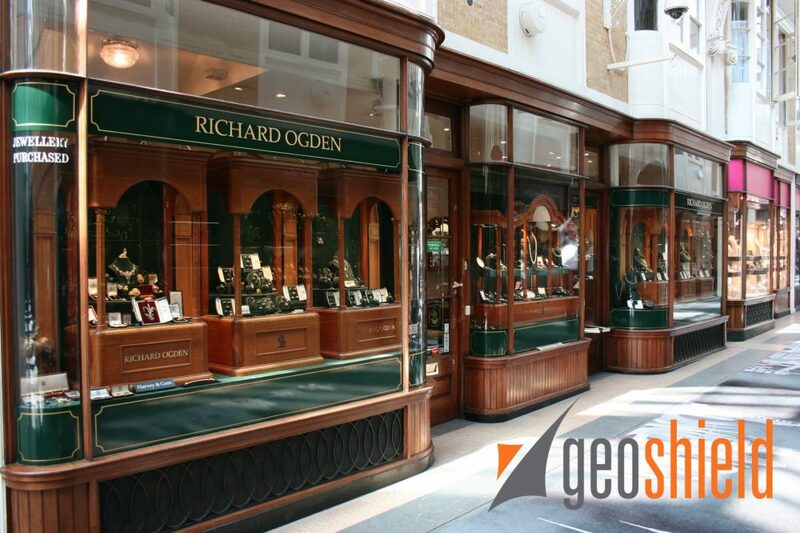 If you have any additional questions about our Pronano 70% storefront window film, please contact us by calling 800-234-6133 or emailing us at info@geoshieldusa.com. We would be happy to assist you and also give you the contact information for a local Geoshield installer in your area. You can visit our dealer locator by clicking HERE to find a Geoshield Window Film Authorized Installer in your area.